Alina Starkov has been an orphan since she was a young girl. The only person she has ever trusted, ever really cared about is Mal, a fellow orphan. Now they have grown up and their regiment is preparing to cross the dangerous, often deadly Shadow Fold. During the crossing, Mal is attacked and almost killed, but Alina calls on an unknown power to save his life. Almost instantly, her life changes. 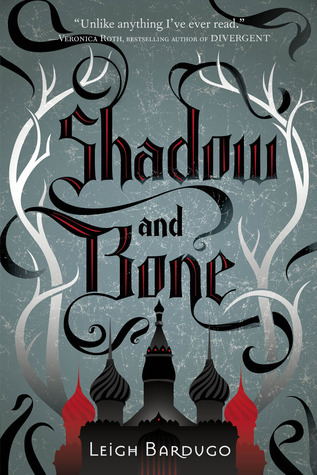 She is taken from the army to live and train with the elite Grisha in preparation to use her power to help the mysterious Darkling save their nation. As she learns to use her gift, she drifts further away from her old life and from Mal. But with great power comes great responsibility and Alina begins to wonder where her allegiance should lie. This was my book club’s choice for the month and probably not something I would have chosen myself. I was frustrated by the obligatory romance/love triangle aspect of the story. It also had a somewhat predictable ending; knowing it is the first of a trilogy, certain things were bound to happen and not to happen. Overall, I liked it more than I thought I would. I would recommend this to teens who are looking for the next Katniss or Tris. The author of the Sisterhood of the Traveling Pants series is back with a YA book in a completely different genre: science fiction with elements of dystopian future. Seventeen-year-old Prenna immigrated to New York four years ago. She did not come from another country; she came from another time. Prenna and her community were living in the 2090s, a time plagued with a lethal blood disease transmitted by mosquitoes. Everyone lived in fear of being bitten until things were so bad that they knew they had to get out. Those who were strong enough traveled to the year 2010 and settled down around New York. The community had to stick together and follow very strict rules about what they needed to do to fit in and what they couldn’t do to risk harming the “time natives” they were living amongst. Prenna pushes the limits with Ethan, a boy from school who seems to know her better than anyone, even though she’s tried to do her best to keep her distance. When she is given information by someone she thought was a crazy homeless man, his story shocks her and causes her to question everything she’s been told for the past four years. Could this man be telling the truth? And how does Ethan fit into the equation? This was a very interesting story. It is certainly different from other books by this author. Like many time travel imaginings, this story addressed how seemingly innocent actions by those who have traveled back in time can have dire consequences in the future. It also touches on the implications of our current use of fossil fuels and their effect on the the environment in the future. I would recommend this book to older teens or adults who would appreciate the story and the message behind it. Clay Jannon is a young, out-of-work web designer in San Francisco. 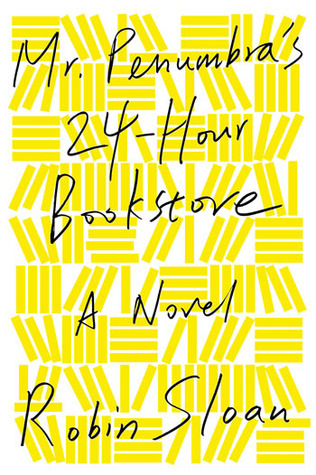 During his job search, he stumbles upon Mr. Penumbra’s 24-Hour Bookstore. His ability to climb the ladder to reach the large, cryptic books near the ceiling get him a job there. Clay works the overnight shift and only sees a few customers a night, if he’s lucky. The customers are an odd bunch; they work in the middle of the night on a secret project Clay is not allowed to know. After awhile, he decides to work on a project to keep his programming skills sharp. He designs a virtual 3-D model of the store. When he meets a cute girl who happens to be a genius, his 3-D model becomes very sophisticated with the help of equipment at her employer, Google. What they reveal sets in a motion a series of events filled with danger, mystery, and intrigue. This was a bizarre, interesting story of books, the effects of technology, and secret society. I liked the characters and the mystery kept me reading. I would recommend this to young adults who can appreciate what technology lends to the story. The wait is over. The perfect Society, which brought Cassia, Ky, and Xander together then tore them apart, is falling and they are all a part of the rebellion in one way or another. Sickness, betrayal, misplaced trust, and desperation will test them in ways they never imagined. Will love be enough? 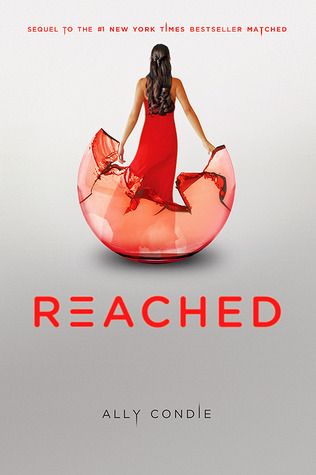 I enjoyed the final book in the Matched trilogy. The series wasn’t violent like the Hunger Games and doesn’t have the raw emotion of Divergent. It is more introspective and a little slower paced. I definitely liked the first book the best but am glad I finished the series. In the aftermath of destruction, Tris is struggling to reconcile what she did, where she came from, and where she’s going. Everyone must decide who to trust and as they slowly discover where loyalties lie. Tris’ feelings of guilt make it hard for her to concentrate on survival, while others decide whether she’s a leader or a traitor. 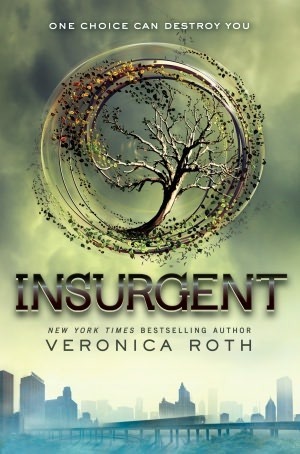 Values, beliefs, and relationships are put to the test in the second book of the Divergent series. 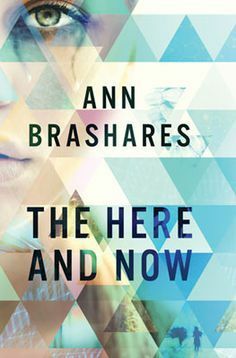 As often happens to the second book in a trilogy, this book seemed to drag on and frustrated me over and over. I will read the next book when it comes out and hope that it renews my enjoyment of the series. Percy Jackson is often in trouble, but not for normal things like having a messy room or talking back to his parents. During the last class field trip, a teacher turned into a monster and he fought her with a pen that turned into a sword. No one will believe him. In fact, they deny the teacher even existed. Percy soon finds out he is not crazy and he is not a regular kid. After a series of events lead him to a camp of kids like him, he and his two friends are sent on a quest to resolve a conflict between the gods. Percy soon learns that nothing is as it seems when you’re a demigod. This was a decent story that boys would love. The main character is a boy with ADHD who is always getting into trouble but later learns he’s actually someone very important and his struggles with school are due to his special powers. I probably won’t read anymore of the series, but it really hits the mark with its target audience. The reader for the audiobook does a great job making the story come to life. I will recommend to boys who liked Harry Potter and other adventure/fantasy stories. As an added bonus, this series has inspired readers to ask for books about Greek gods. The story begins as Jonas and his friends become Twelves. Jonas can guess which careers will be assigned to many of his classmates, but he has no idea what will be chosen for him. The whole community is taken by surprise when he is presented as the next Receiver of Memories. In a town where there is no sickness, no conflict, no crime, and no hunger, there is only one person who holds the memories of these things from the past. As Jonas takes on the memories, he realizes there’s more to life than the safety and monotony of their utopian community and must make his own choices for his future. This was a classic I had never read and decided it was time after reading the Hunger Games and Matched series. 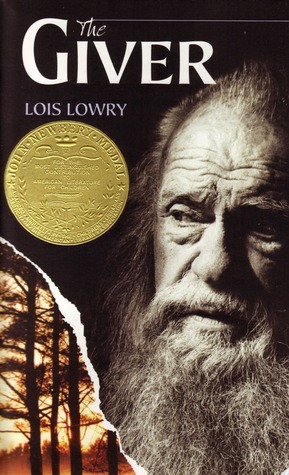 The Giver is thought-provoking and unsettling. I can see why it has been challenged a number of times; it contains some controversial ideas, sure to spur discussion. Let’s all read it and discuss.